Recent Robert Morris University graduate Sarah Robb was awarded a $100,000 fellowship through the National Science Foundation’s (NSF) Graduate Research Fellowship Program. The award will enable Sarah to enter Carnegie Mellon University’s Biomedical Engineering Ph.D. program this fall, where she will focus on the medical applications of single-walled carbon nanotubes. It will also help to fund travel to various conferences, where she’ll have the opportunity to network, present her research, and become more involved with professional engineering societies. 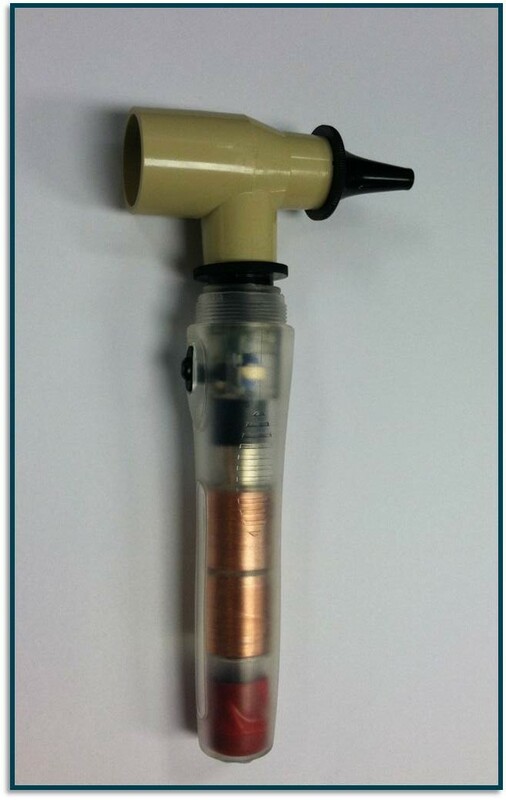 This past year Sarah collaborated with other members or RMU’s Engineering World Health (EWH) chapter (which she helped to organize) in order to design and build a low-cost, non-battery-powered otoscope that could be used in environments where electricity or batteries are unavailable. The idea for the otoscope was spawned after her trips to Nicaragua with Dr. Carl Ross’s nursing students. Sarah and the RMU EWH chapter decided to build the otoscope after surveying and gathering input from Dr. Ross and nursing students over a two-year period. The data they gathered from the survey will also allow the chapter to design and manufacture other projects for the future, based on the needs identified by the traveling nursing students. Sarah first traveled to Nicaragua with RMU’s nursing program in the spring of 2013. This past March, thanks to her receiving the 20-Year Club scholarship and support from the American Association of University Women, Pittsburgh Chapter, she was able to the impoverished country along with Dr. Ross and his students. 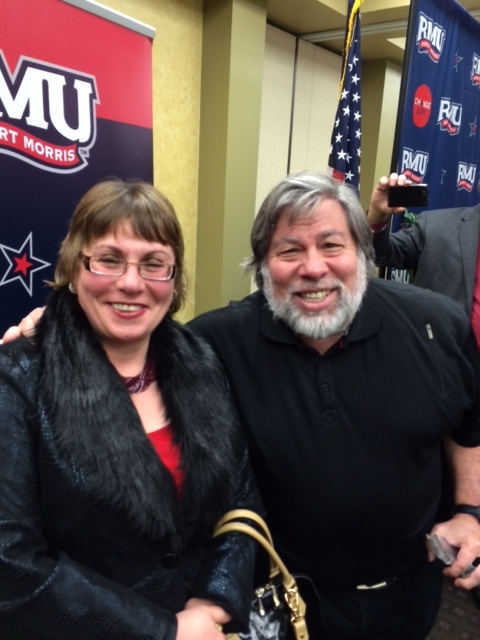 Maria V. Kalevitch, Ph.D., dean of Robert Morris University’s School of Engineering, Mathematics, and Science, poses for a photo with Silicon Valley icon, philanthropist, and Apple Computer Inc. co-founder Steve Wozniak, on Wednesday, January 29 in RMU’s Charles L. Sewall Center. Wozniak stopped at Robert Morris to speak with students, faculty, administrators and guests before speaking at Heinz Hall that evening as part of the RMU Pittsburgh Speakers Series. 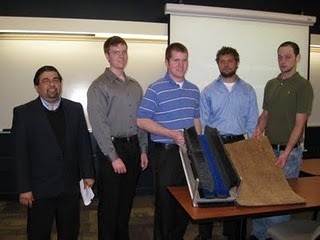 Last week I had the pleasure of attending a final presentation given by engineering students in RMU’s Product and Tool Design course, taught by Dr. Priya Manohar (see photo, standing at left). The presentation, which took place in the university’s Hale Center, was the culmination of an interdisciplinary project with Dr. Cathleen Jones’ Marketing Research course. Earlier in the semester, students from both courses brainstormed some new product ideas and chose two ideas to research. After that, the marketing students surveyed people about the ideas and reported the results to the engineering students and a panel of businesspeople, none of which was Donald Trump, who at the time was preoccupied with more pressing issues. The panelists then recommended which of the two ideas they believed showed the greatest potential. Based on these recommendations, the engineering students chose to develop the “Boot Broom,” which was originally called the “Super Sopper.” Although both names feature alliteration, which is always nice, personally I’m partial to the latter option. Then again, I had nothing to do with the project. The Boot Broom is an innovative device for cleaning one’s footwear before entering one’s house. It features two parts: 1) a standard door mat, and 2) a not-so-standard dirt/mud scraping off thingamabob, which works sort of like a shoe car-wash, just without the water, soap, conveyor belt, and those guys at the end who “dry” your car off with their soaking-wet towels. In developing the prototype (that’s fancy engineer lingo for a working model), engineering students Casey Coughlin, Brendan Mathers, Wade Moneypenny, and Charles Story Jr. (see photo) utilized Gantt Charts, Needs-and-Metrics Matrices, Functional Analyses, and other cool-sounding scientific tools we writers never get to use. During the presentation, they shared their findings from the project and what they learned throughout the process. Will we ever see the Boot Broom in your local hardware or home improvement store, or maybe on an episode of Oprah when she gives out her favorite things to all those screaming women (they frighten me)? Who knows? But if we do, I can tell people that I was there to witness its unveiling and then to blog about it, none of which, by the way, qualifies me to receive any percentage of the profits from sales. At least that’s what my lawyer told me. From July 19 through August 6, Robert Morris University held its annual Summer Day Camps, hosted by the School of Engineering, Mathematics and Science (SEMS). 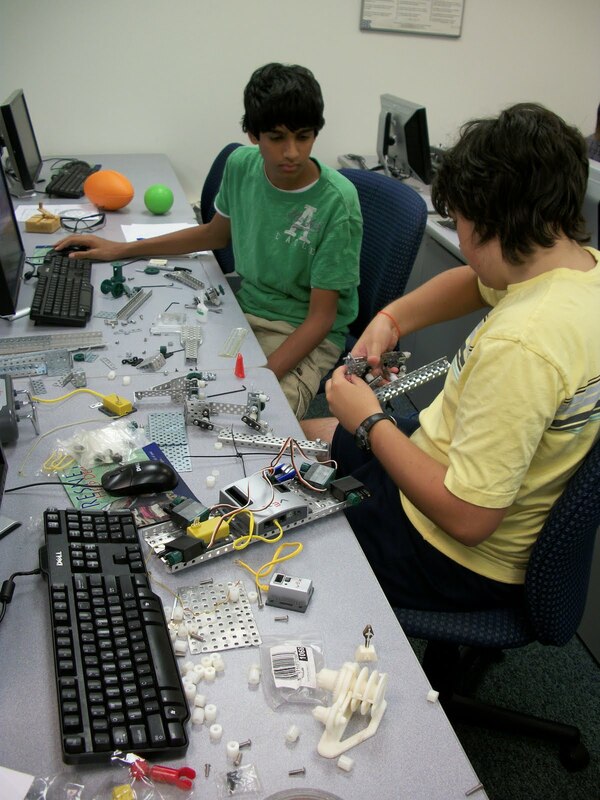 The SEMS Summer Day Camps give local middle-grade and high school students hands-on learning experiences in animatronics, forensics, and a variety of science-related topics. 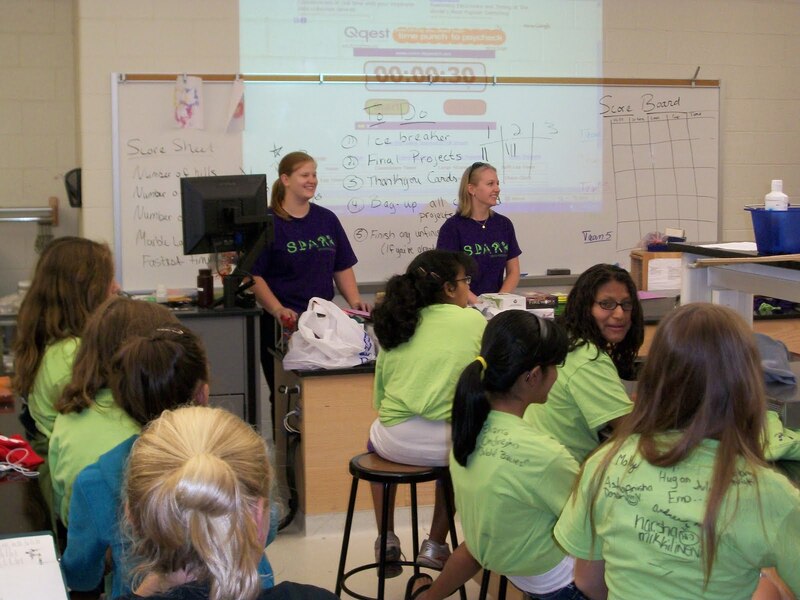 In the CSI-Forensics camp, students were exposed to many areas that real crime-scene investigators use in their line of work, such as trace analysis; digital, DNA, and mathematical forensics, and forgery detection. Animatronics is the art and science of designing and building animated sculptures and puppetry. 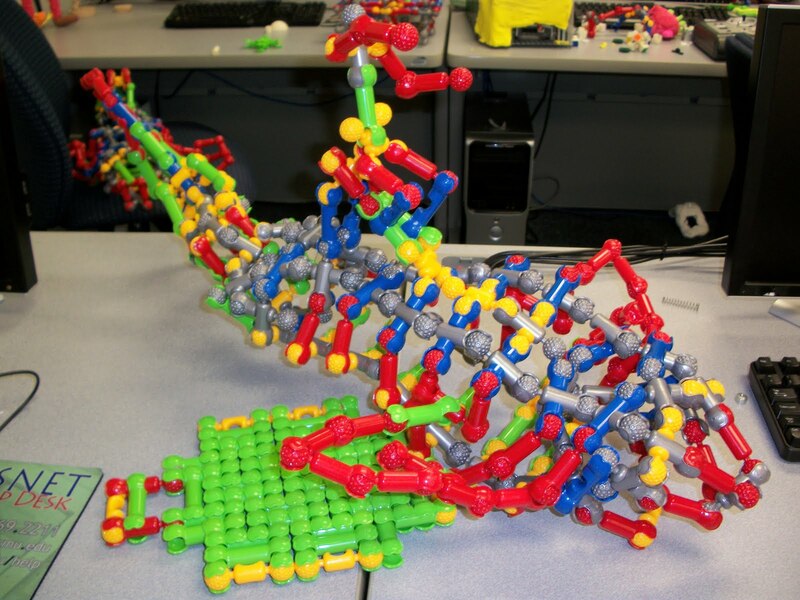 In this camp, led by Arif Sirinterlikci, Ph.D., director of the Engineering Laboratories, students designed, built, and integrated components that gave them the background to create their own animatronic model. 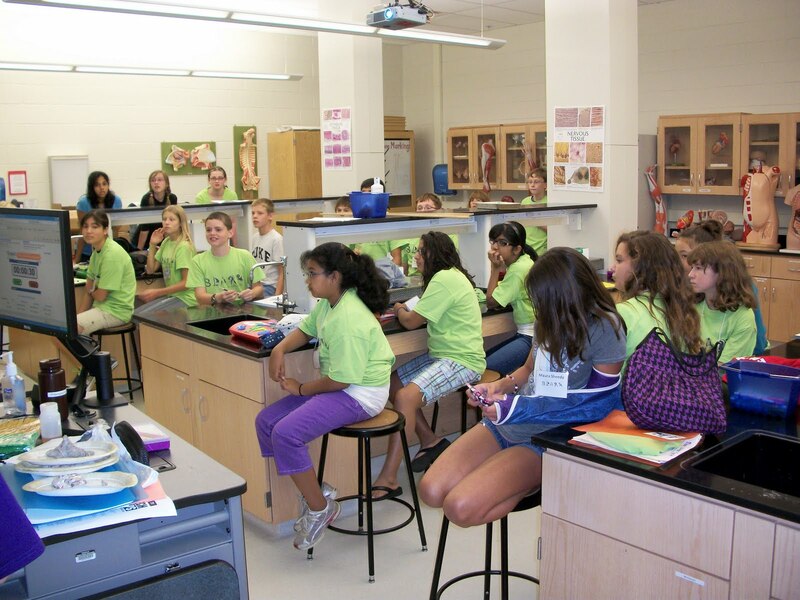 “Spark Your Imagination” gave middle school students many opportunities to engage in a variety science topics including biology, environmental science, chemistry, and physics, as they explored science through an inter-disciplinary approach, combining art and science with hands-on activities. It was local manufacturer F Squared who came to Highlands High School in search of a BotsIQ partner. And they found mechanical engineer‑turned‑teacher John Malobicky ready for the challenge. John had written a curriculum for an entry‑level course in engineering, which Robert Morris University had approved for three college credits. John was teaching it at Highlands. “BotsIQ requirements were an ideal match for the capstone project for the course,” John realized. “What’s more, it offered students hands‑on application of the principles critical in meeting the course requirements: teamwork, scheduling, project management, budgeting and production control, among other engineering concepts. 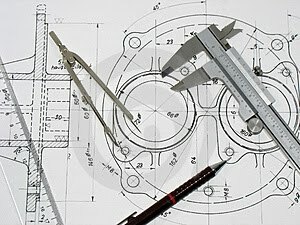 Team Axiom produced its bot design with CAD at the school and then worked in RMU labs alongside college professors like Dr. Sushil Acharya and Dr. Arif Sirinterlikci to do the rapid prototype work. John is an advocate for originality. While both Highlands teams are able to salvage parts from year to year, he wants students to gain as much engineering experience as possible. So they start from scratch each year. “It takes a lot more time, “ he concedes. And students agree. “It is the most challenging thing we have ever done,” they write in their project evaluations. But in the end, they share a collective sense of pride: “We never thought we’d get it done!” And they did – for the second year in a row! A protective plastic shell that keeps your bar of soap clean. Pepper spray that sounds an alarm when you use it. These were just a couple of the ideas considered by students in RMU’s Marketing Research and Product and Tool Design classes. Led by Priyadarshan A. Manohar, Ph.D., assistant professor of engineering, and Cathleen S. Jones, D.Sc., assistant professor of marketing, the interdisciplinary class had students take a common problem, do surveys to gather information, and then design and build an actual working prototype of a product to address the problem. The students were then required to reveal their findings and prototypes in a professional presentation in front of their peers. During the first round of presentations, the students also got the chance to present their ideas to Larry E. Nolph, senior financial manager for GlaxoSmithKline. The EZOpen Trash Can, conceived by Brittany T. Herron, Jillian D. Mcconnaughy, and Jamie R. Vanslander, and built by engineering students Justin R. Laughner, Michael J. Serafin, and Donald J. Swisher, addresses the problem many people have when removing the trash bag from their kitchen container. The prototype features a large storage capacity and a front-side opening, and is stackable and lightweight yet sturdy. The front opening eliminates the need to lift the trash bag out of the can, and rubber wheels allow the can to be transported with ease. The Erase-All Whiteboard Cleaner, conceived by Rachel E. Cavolo, Stephen B. Colella, Rebecca A. Shoup, and Amanda L. Wells, and built by engineering students Mark Geubtner, Sean McDonough, and Anthony Trunzo, is a multi-purpose, dry-erase/chalkboard cleaning tool with a versatile head and an extendable handle. The students said that they hoped the cleaner would capture what they saw was a new multi-purpose dry erase tool market and replace the out-dated rectangular whiteboard cleaners currently being used. Broadway Rocks with Marvin…and RMU! Four RMU students were recently selected for this year’s Pittsburgh Symphony Orchestra (PSO) PNC Pops! All Star College Chorus. Under the direction of Robert Page, the Pittsburgh Symphony Orchestra partners with local colleges and universities every year to form this one of a kind singing group. Junior Samantha Koch, English; junior Nikki Rodgers, Manufacturing Engineering; sophomore Brad Perciavalle, Actuarial Science; and sophomore Paul Berard, Finance, were chosen to be part of this unique mixture of college singers, which will be performing in the symphony’s production of “Broadway Rocks!” February 25-28 at Heinz Hall in Pittsburgh and March 1 at West Virginia University. 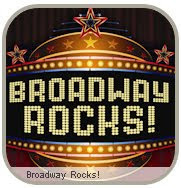 Led by Marvin Hamlisch, Pittsburgh Pops principal conductor and Henry & Elsie Hillman Endowed Chair, “Broadway Rocks!” is an evening of music from well-known Broadway hits like “Phantom of the Opera,” “Hairspray,” “Wicked,” “Mamma Mia,” “Dream Girls,” “Jersey Boys,” “Tommy,” and more. Hamlisch, an accomplished composer, was the creator of the Pulitzer Prize-winning “A Chorus Line” and has been the recipient of three Oscars, four Grammys, four Emmys, a Tony, and three Golden Globe awards. As representatives of RMU, Koch, Rodgers, Perciavalle, and Berard will join students from 10 other local universities in this year’s All-Star Chorus. For ticket information, visit www.pittsburghsymphony.org. Thursday, Feb. 25, 7:30 p.m.
Friday, Feb 26, 8 p.m.
Saturday, Feb. 27, 8 p.m.
Sunday, Feb. 28, 2:30 p.m.